Science Fiction has long been a part of popular culture. From the colour co-ordinated adventures of Captain Kirk and crew to the city chomping of Godzilla, it is very much a worldwide phenomenon. And it all started over a century ago – in Britain. From Victorian literature through to the modern day – Martians, Morlocks and Moon Landings explores the genre’s development through the imaginations of H G Wells, John Wyndham, George Orwell, Nigel Kneale, and many more. It chronicles the creative minds that foresaw lasers, moon landings, and aggressive walking plants. It charts the socio-political climates which gave rise to Orwell’s totalitarian vision, the self-sufficient Survivors, and the cash-strapped Blake’s 7. British Science Fiction is a window into contemporary history, laying bare a nation’s psyche – occasionally by dressing it up in a foam rubber costume and having it pursue actors down a BBC corridor. 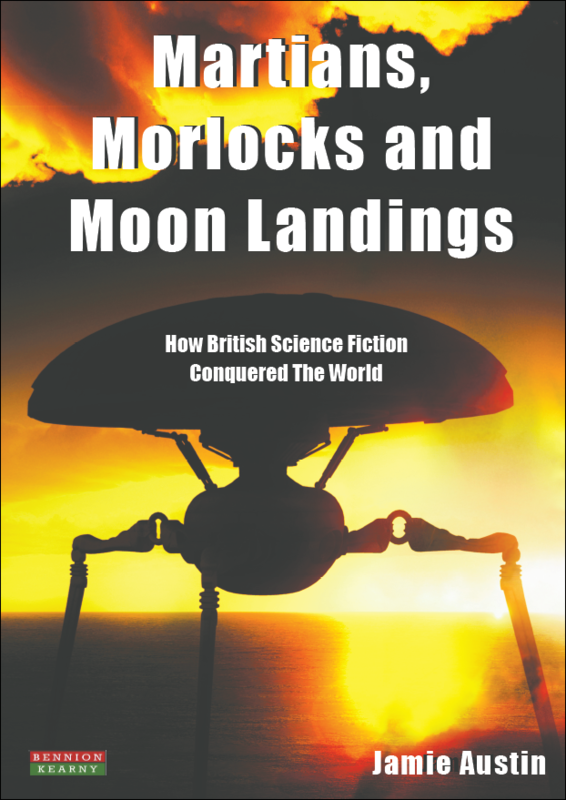 Martians, Morlocks and Moon Landings details the influence of British Science Fiction on the world stage and is a must-read resource for anyone with an interest in the genre. Without Wells there would be no Star Wars, without Orwell there would be no Celebrity Big Brother… For good or evil, British Science Fiction has shaped our world. This book shows you how. Book Categories: Biography and Fantasy.